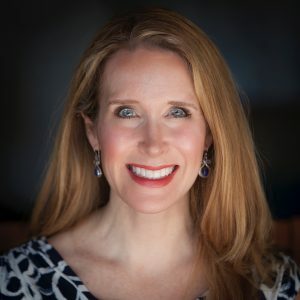 Dr. Sarah J. Tracy (Ph.D., University of Colorado, 2000) is Professor of communication and qualitative methodology in The Hugh Downs School of Human Communication at Arizona State University. Her scholarly work examines emotion, communication and identity in the workplace with particular focus on compassion, conversation, leadership, emotional labor, workplace bullying, and work-life wellness. She approaches research from a use-inspired standpoint and conducts most of her work in naturalistic contexts. She is a disciplinary leader in qualitative research methods—including participant observation, interviewing, focus groups, organizational training / intervention, document analysis and discourse analysis—and has led more than 20 qualitative workshops internationally. Her award-winning research has resulted in two books including Qualitative Research Methods: Collecting Evidence, Crafting Analysis, Commuicating Impact and a YouTube Channel called Get Your Qual On. Her research elucidates a contextual approach for problem-based iterative qualitative methodology, serving both as a primary scholarly source on qualitative design and analysis, and also as a pedagogical resource for short courses, workshops, and graduate and undergraduate courses. Dr. Tracy has written more than 75 monographs (books, journal articles and/or book chapters) appearing in outlets such as Qualitative Inquiry, Qualitative Health Research, Management Communication Quarterly, Communication Monographs, Communication Theory, Journal of Management Studies, Human Communication Research, and Journal of Applied Communication Research. She is Co-Director of The Transformation Project, a consortium of faculty, students, and community members who seek to discover and promote creative change processes that encourage healthy communication patterns, collaborative group behavior, and equitable forms of social organization. Activities include the Sunshine for Sun Devils organizational gratitude project, multiple conferences and symposia, journal articles, downloadable white papers, Wiki pages, and public presentations.